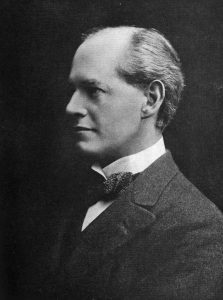 John Galsworthy was an English novelist and playwright, and the winner of the Nobel Prize for Literature in 1932. Galsworthy was born in a fairly wealthy family. His father was a solicitor. He was educated at Harrow and New College, Oxford. He wanted to specialize in marine law, he took a voyage around the world. He met Joseph Conrad during this voyage, who was his then mate of a merchant ship and they became lifelong friends. As a result of this voyage, Galsworthy found law unappealing and took to writing. His first works were From the Four Winds (1897), which were a collection of short stories, and the novel Jocelyn(1898), were both self-published. For those books, he used the pseudonym John Sinjohn. The book, The Island Pharisees (1904) was the first book to appear under his own name. The Man of Property, was the first book in ‘The Forsyte Saga’, by which Galsworthy is chiefly remembered. The saga talks about the lives of three generations of a large, upper middle-class family at the turn of the century. The Forsytes have recently risen to wealth and success in the profession and business world, and are tenacious and anxious to increase their wealth. Galsworthy wants to imply through the novels that their desire for property is morally wrong. His other novels include The Country House (1907), The Patrician (1911), and The Freelands (1915). He was also a successful dramatist. His plays were written in a naturalistic style, in which he usually examined some controversial ethical or social problem. They include The Silver Box (1906), Strife (1909), Justice (1910),and Loyalties (1922). In 1905 Galsworthy married Ada Pearson, the divorced wife of his first cousin. He had, in secret, been closely associated with her for about ten years before their marriage. He is remembered for the portrayal of Victorian and Edwardian upper middle-class life. His creation of Soames Forsyte, a dislikable character who nevertheless compels the reader’s sympathy, shows us what a great writer. The Forsyte Saga was televised by the BBC achieved immense popularity in Great Britain in 1967 and later in many other nations.